If you love movie with category "horror", you will recognize some item in horror movie which makes that movie scarier, one of them is "doll". A doll is a toy former as human and other such as animal but usually, it takes a shape as children. People use Dolls not just used as a toy but sometimes doll has been used in magic and religious rituals with some people in the world. Because of it some producer in Horror Movie used doll as a property in Movie even as the main character. Anabelle is a doll which is believed to be haunted at the Warren Occult Museum in Monroe, Connecticut, United States. This doll has become an inspiration for the films of The Conjuring and Annabelle. This doll is often compared to Robert dolls. An Annabelle doll that is actually a doll made of cloth, unlike films that describe itself as a porcelain doll. This doll was given as a gift to a 28-year-old nursing student in the 1970s, Donna. This doll was bought in the Raggedy Ann shop. Donna's roommate, Angie, was the first to see a strange incident in the doll. He admitted that he had seen the doll move on by itself. Both realize that sometimes the door that is left open will close itself when there is no one in the house. Angie also found a note with the words "Help Us". This doll is believed to be possessed by the spirit of a 7-year-old girl named Annabelle Higgins who died and who is the owner of this doll. 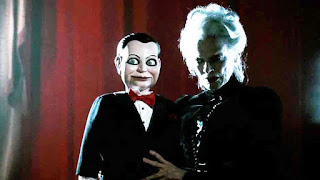 However, Annabelle later becomes evil and often attacks a friend Donna named Lou.Angie and Donna then called Ed and Lorraine Warren, two demonologists, to investigate the case. Warren said that the doll had been possessed not by spirits, but by demons. A priest was called to drive the demon out of the apartment and the doll was later taken by Warren and placed in a museum with a sign, "WARNING: Positively Don't Touch"
Similar to the Annabelle doll, this doll resembling a boy named Billy. Billy is a ventriloquist doll or doll that can talk through someone's stomach. Throughout the film, Billy spreads terror with the news that he could kill several people. This doll made of wood looks so creepy that its eyes are wide, as if they can stare into your eyes. See how his fingers are, isn't it? Ventriloquist dolls were very popular a few decades ago in the show. This doll is one of the puppets in James Wan's film titled "Dead Silence" which was released in 1997. In history of the world, this doll has already exist in acient greek. This clown puppet film is the best horror film of all time and is included in the category of the 100 most horror horror films. This film tells about spirits that disturb a family. On the other hand, this creepy clown doll is one of the scary things in the film "Poltergeist". Many people are afraid of clowns because they are considered creepy, especially in this film. This clown doll appeared mysteriously at a birthday party and was ready to spread terror. 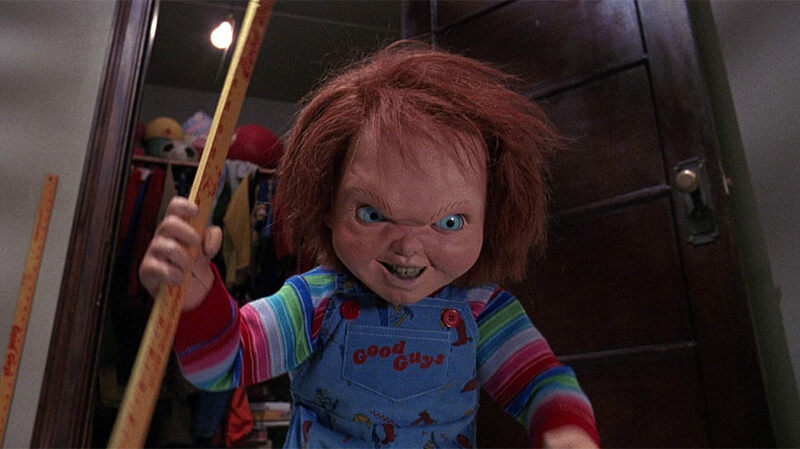 Chucky is a phenomenal spooky doll that is always remembered. This doll is a boy-shaped doll possessed by evil spirits. Chucky can kill anyone who tries to block the action. The appearance is indeed creepy, but the spirit of the murderer who lives in his body always targets the life of the puppet owner. 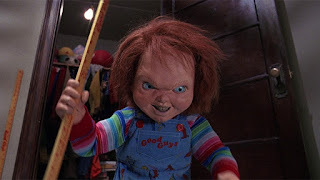 In several series of films, Chucky is married to a female doll who is also creepy and evil. In fact, these doll couples have a mission to have children and reduce their evil qualities. 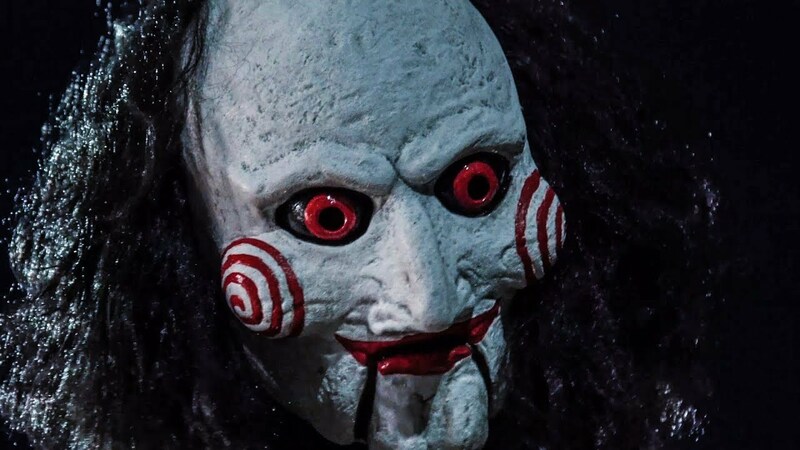 For thriller and kill killers, we certainly know the SAW movie. The main character in this film, played by Tobin Bell, has a puppet to trick his opponents. This doll even became a trade mark of Jigsaw itself and became a creepy doll in the film. Even the police in the SAW movie are on average fooled by this doll. The most creepy thing in my opinion is the laugh of the SAW doll. Even now it is very imprint.